We bring forth to our customers high quality Oil Can Rack, which are manufactured using superior quality material. Our entire range of storage racks is stringently tested to ensure their compliance with the international standards of quality. We are one of the most trusted names of the industry engaged in offering Oil Can Racks in the market. 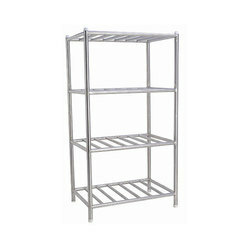 These oil can racks are designed as per the clients' preferences and requirements. Godrej racks for storing oil, juice and all other types of cans. We are looking Minimum Order value should be 1Lac to 2Lac. 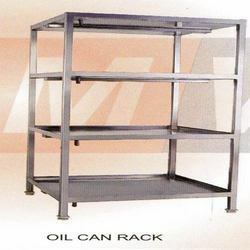 We are one of the most trusted names of the industry engaged in offering Oil Can Racks in the market. These oil can racks are designed as per the clients' preferences and requirements. Moreover, the unique & vintage appearance of these racks is widely appreciated by the clients all across the Indian Subcontinent. Our company has mastered the art for offering Oil Can Rack to the clients. This product is manufactured from quality approved material at modern manufacturing unit, in-sync with the industry laid quality standards. Oil Can Rack is used in various places for keeping several accessories in an organized manner.